Whether you’ve just discovered that you’re pregnant, or you’re expecting that new arrival imminently, it’s probably safe to say that your mind has been somewhat occupied with thoughts of cots, clothing, and nursery furniture of late. 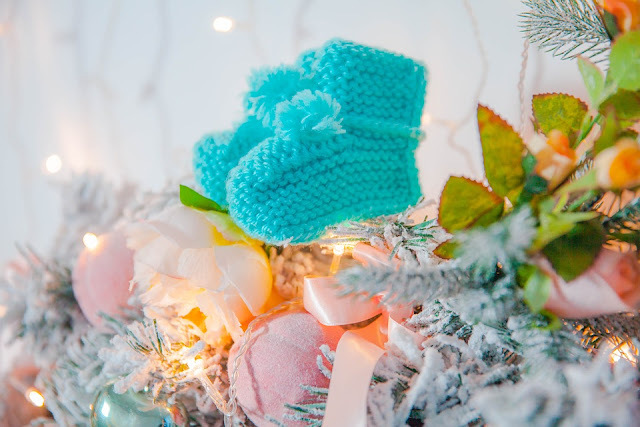 Regardless of whether this is your first baby or not, preparing for a new arrival can feel a little like a military operation filled with decisions, and lists that must be followed to the letter. While many tasks, such as buying nappies, sourcing feeding equipment, and reading baby books may feel at times like necessary evils, others, including decorating the nursery, purchasing baby clothes, and sourcing sensory toys, will be a little more fun – and why shouldn’t they be? Being a parent is as much about rediscovering your own sense of childish glee as it is about setting rules and policing that tiny human for the next 18 years. It’s time to have a little fun. From the moment they outgrow the cot snuggled in the corner of your bedroom, your baby is going to need a room of their own – a place where they can grow up and allow their imagination to flourish. The most wonderful part about designing a baby’s nursery is that anything goes in terms of creativity; perhaps you follow a particular fandom, such as Harry Potter, Marvel, or Star Wars, and would like to introduce your baby to your hobbies as they get older, or there’s a designer, colour, or series of accessories that you’ve been desperate to incorporate. As long as it can be adapted to support a child’s academic and personal development, and falls within your budget, anything goes these days. Your nursery must be suitable for a baby from the moment they’re born, regardless of how you choose to decorate or accessorize that space. For starters, ensure that any wires are tucked out of reach of curious fingers, blind cords are stored safely away or eliminated by wooden shutters, and heavy items are either secured or kept away from surfaces that babies, and then toddlers, would have access to. Next, consider plug protectors, stair gates, and the time it will take you to get all the work done. It’s best to give a nursery several weeks to air out prior to placing your baby in there to sleep as fumes could pose a health risk to a baby. Finally, if you have rugs on hardwood floors, could they be secured with double-sided tape? Furnishing your baby’s nursery may feel like a daunting task, but it’s actually one of the most fun – plus you’ll need very little in order to create a comfortable and workable space. To keep it simple and functional, the nursery should have a convertible crib or cot bed that will grow as your child does, a changing table or changing top to be used with a dresser, a means for storing clothes such as a chest of drawers or a wardrobe, and a comfortable chair for those nighttime feeds and bedtime stories. Clever storage solutions, including toy boxes, crates, or toy nets, will always come in handy, as will bedding – though it’s important not to go overboard when it comes to bumpers, blankets, and pillows. Indeed, bumpers are actually not recommended by many medical and maternity professionals, while heavy blankets and pillows are a no-no for newborns and younger babies; sleeping bags and loose-fitting blankets should be sufficient. Do consider a baby’s mobile for a crib though, particularly one that plays music; you’ll yearn for those lullabies come naptime and bedtime. When it comes to checking sites such as Instagram and Pinterest, it can be tempting to get carried away and to plan a nursery as fantastical and elaborate as they come. However, have you stopped to think about budget and practicality, or how that nursery will transform into your child’s bedroom as they get older? Murals, bountiful colors, and accessories aplenty are a lovely thought, but they’re often incredibly difficult to get right, or to maintain over time. It’s time to keep things simple. Whether you follow a theme, create a room that’s specific to your child’s gender, or keep things neutral, aim to use single-coloured walls with borders to add a little personality. These could be changed as your baby grows up and develops their own tastes, while rugs, soft furnishings such as cushions, and decals can also be adapted over time. Finally, resist the temptation to clutter the nursery; numerous toys in your baby’s cot could actually pose a hazard at bedtimes, while clutter never makes for peaceful naptimes. Instead, think about bookcases, floating shelves, and soft toy nets, which will allow your baby to access a few belongings without feeling overcome or distracted. It’s important to remember a simple mantra at this point: your child’s nursery, your rules. If you’d like to keep things simple, follow a neutral color scheme, or go completely overboard, then do – budget permitting, of course. As long as your baby is warm and cozy, and you include plenty of clever storage solutions for housing those favorite toys, cherished items, and essentials, everything else is up to you. Do try to remember to have fun with this project, though; when else will you get to decorate a room with such creativity?